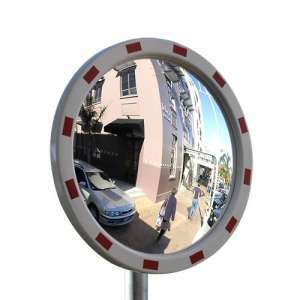 When a high visibility, general purpose outdoor convex mirror with a superior distortion free image is required, the Pro Series Circular mirror is the ideal choice. In addition the back is made from a 100% UV stabilised advanced plastic composite, ensuring superior longevity and strength. The classic styling and enhanced safety features make this the ultimate road safety mirror. Complete with galvanised steel pole clamp bracket, designed to mount to a 3" pole. 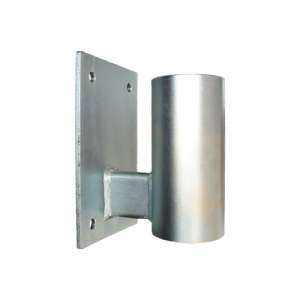 To mount this outdoor safety mirror to a flat surface, a wall mounting adaptor is available. 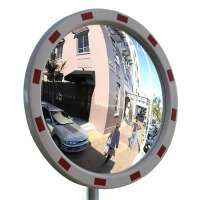 The 24" Pro Series Circular convex mirror is the ideal choice when a high visibility, general purpos.. The 32" Pro Series Circular convex mirror is the ideal choice when a high visibility, general purpos..